, CREATIVE SP1000 EMBELLISHER/FELTING MACHINE - 5 NEEDLE This was the first Domestic Embellisher/Felting Machine model to arrive in the UK. No thread needed. That's right, the Embellisher requires no threading, it simply "meshes" fabrics together using 5 special barbed needles. Designed with the unique art of machine needle felting, the Embellisher pushes fibers together creating beautiful surface embellishments. Simply move the fabric freely under the needles to create any look or design. 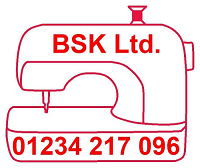 This was the first Domestic Embellisher model to arrive in the UK. No thread needed. That's right, the Embellisher requires no threading, it simply "meshes" fabrics together using 5 special barbed needles. Designed with the unique art of machine needle Embellishing and felting, the Embellisher pushes fibers together creating beautiful surface embellishments. Simply move the fabric freely under the needles to create any look or design. The Embellisher can make all your projects from garments to scrapbooks more distinctive. Let your creativity soar with the Embellisher! 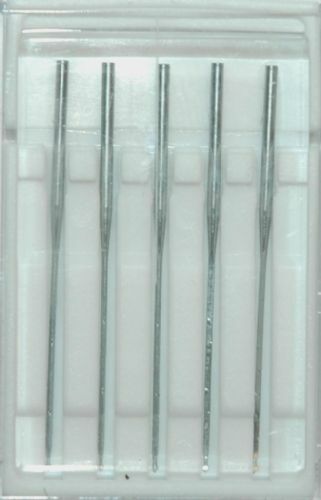 5 Special barbed needles which you can change individually that mesh the fabric together to create unique designs using almost any type of material. Paper, yarns, fabric, ribbon, threads, feather, etc. 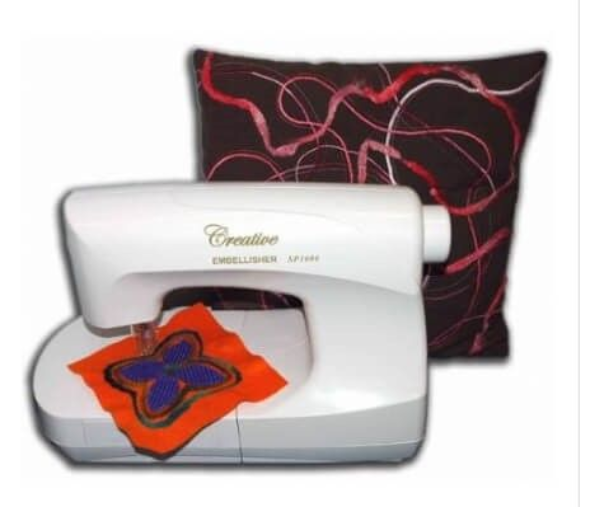 can be used to make the most exotic garments, quilts and other decorative items. Features include: Presser foot height adjustment, Free-motion embellishing, Free Arm, No thread required, Electronic foot control, built-in accessory storage, 1 years warranty.